Your tour begins on after arrival at Delhi Airport/Railway Junction from Bangalore, Mumbai, Pune, Ahmedabad, Chennai, Kolkata, Jaipur, Hyderabad, Kochi and etc (your destination) . Day 01: Arrival Delhi: Arrival in Delhi and drop to check-in Hotel. Later sightseeing to Delhi (Qutub Minar, Lotus Temple, India Gate, Rashtrapati Bhavan, Jantar Mantar, Red Fort, Akshardham Temple etc.) Dinner and overnight stay. Day 02: Delhi Agra Delhi ( 230kms.- 5hrs ): Early morning check out from hotel and drive towards Agra. In Agra, you can visit The Taj, Agra Fort and Fatehpur Sikri. Later start journey towards Shimla. Overnight journey. Day 03: Delhi – Shimla ( 380kms – 8hrs ): Arrival in Shimla, check-in hotel and rest. Afternoon sightseeing, The Ridge, Christ Church, Viceroy Lodge, Bird Century, Sankat Mochan Temple etc. Evening – strolling around the mall road. Dinner and overnight stay. Day 04: Shimla – Kufri – Chail ( 45kms – 2hrs ): After morning breakfast day trip to Kufri, Fagu, Naldehra, Chail. Enjoy pony rides and snow activities. Rest of the day at your leisure. Hotel dinner and overnight stay. Day 05: Shimla – Manali ( 280 kms 8 hrs ): After breakfast drive to Manali, enjoy en-route memorable hill journey and Sundernagar lake, Mandi, Pandoh dam and Kullu’s Vaishno Devi Temple and the scenic beauty of snow covered mountains. 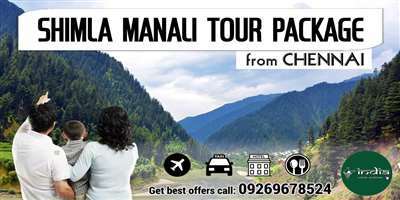 Evening reach Manali, check-in hotel and dinner & overnight stay. Day 06: Manali-Rohtang Pass ( Snow Point tour ): After moring food proceed to half day local Manali tour includes ( Hadimba Temple or Deity Hadimba Mata, Vashisht Hot springs,Tibetans Monastery, Club House etc. Evening later back to hotel, free for leisure. Dinner and overnight stay. 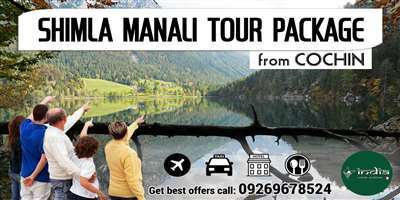 Day 07: Manali tour: After early breakfast full day tour to Kothi Gorge, Gulaba, Marhi, Rahala Waterfalls, Rohtang Pass and Solang valley. Here you can enjoy snow activities like : Cable car, Paragliding, Horse Riding, Mountain Biking, etc. After enjoying the snow point tour, later back to hotel. Evening free for leisure, dinner and overnight stay in hotel at Manali. Day 08: Manali to Delhi: After breakfast check out from the hotel and drive towards Delhi. En route enjoy the scenic beauty of hills and river side journey. Arrive Delhi and transfer to Airport/ Railway Station for onward destination. There are many finest tourist destinations in India to visit once in a lifetime experience. Among the natural beauties, magnificent monuments and works of art, and are a range of markets and restaurants. It is not possible for human beings to take detours during the trip by train and by plane. The whole country is worth a visit and northern India is an integral part of India”s tour. Take note of the northern part of India for its charm and mystique. Delhi, Agra, Jaipur, Jodhpur, Jaisalmer, Varanasi, Shimla, Kullu, Manali, Darjeeling, and the other are the favorite in the northern part of the country”s tourist destinations. Delhi Agra Kullu Manali Tour Package takes you to all Himachal famous hill stations with many attractions on offer. Famous for its natural aura, Shimla, Manali is visited by both foreign and Indian tourists all season. Along the way to Kullu Manali and Shimla, you will visit the Rohtang Pass, Hidimba Temple, Soland Valley, Manikaran, Vashisht temple, Nehru Kund and more. North India is a perfect blend of rich and diverse culture with most impressive geographical views plus its charm. There is no doubt that tourists from all over the world are attracted to this magnet called India. The best way to experience Delhi Agra Shimla Kullu Manali Tour Package is to travel by car. Being a small car, you can take detours as and when you want – just to experience the local markets and enhance your travel experience. This wonderful travel covers major cities: Delhi, Agra Chandigarh, Shimla, Kullu and Manali. Each of these cities has the elegance and their own stories. Hello in India! You all welcome with open arms for a Delhi Agra Shimla Kullu Manali Chandigarh Tour Package, that you will cherish and remember all your life.